USA 76 is an International America’s Cup Class racing yacht used by the ORACLE Racing team in their preparations to challenge for the 2003 America’s Cup held in Auckland, New Zealand. ORACLE would go through to the Louis Vuitton Challenger Series final and come up against the formidable Team Alinghi from Switzerland. Alinghi, ultimately won the Cup after an impressive performance. 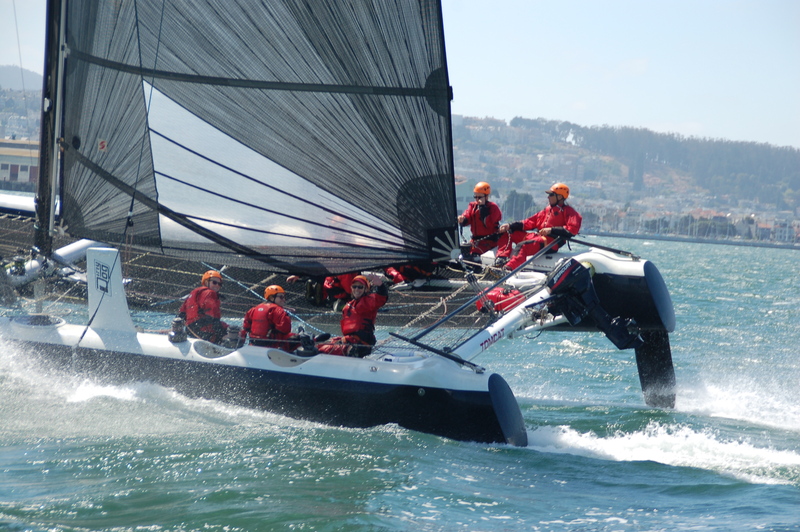 In September 2003, ORACLE arranged for a “rematch” to be held against Alinghi in San Francisco. Both pro and owner-driver series’ scheduled, it was an opportunity to showcase America’s Cup sailing on the Bay, and allow the Golden Gate Yacht Club representatives a chance to regain pride after their defeat in Auckland. Again the competition was tough, especially in the windy confines of San Francisco’s city front. ORACLE and USA 76, with a little more time to prepare and local honor at stake, won both events. USA 76 is now berthed at PIER 39, and has been in charter operation since June of 2011. TOMCAT is a performance racing Prosail 40 catamaran, that has served as a platform and inspiration for the direction of multi-hull America’s Cup sailing. 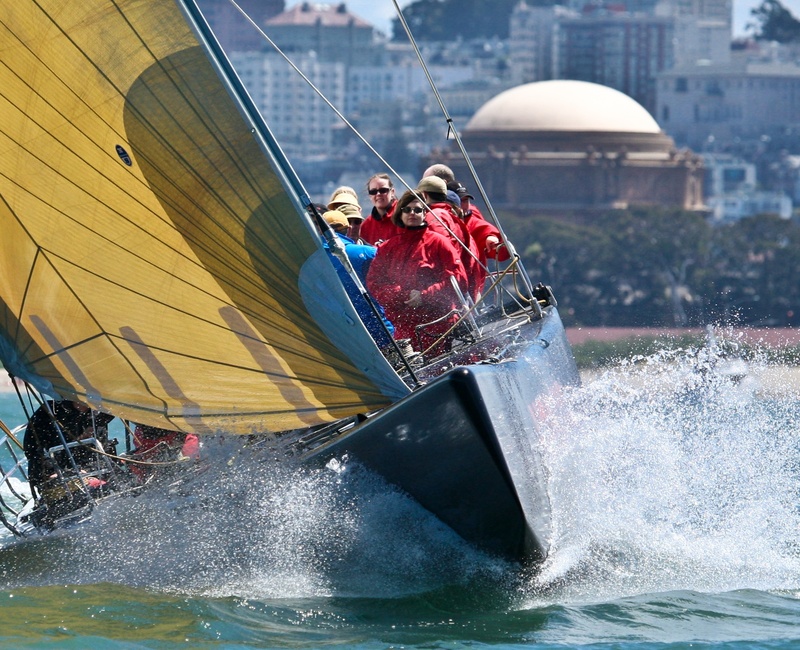 Tom Blackaller was a charismatic San Francisco sailing legend. He won numerous World Championship titles and his involvement in the America’s Cup in 1980, 1983 and 1986, preceded his shift towards multihull sailing. He began campaigning a Formula 40 catamaran named ‘TOMCAT’ in the ProSail Professional Sailing Series in 1988, and was leading the 1989 series at the time of his passing. The ACsailingSF Team is enhancing their America’s Cup connection in San Francisco with the addition of a ProSail 40 catamaran, named ‘TOMCAT’ in honor of Tom Blackaller’s legacy and his revolutionary ideas.